Using an aromatic mist is such an uplifting and blissful experience. I love how portable and easy sprays are to use. I have been using mists regularly for years. Anyone who has attended one of my past women’s circles or events has probably experienced the benefits of an aromatherapy mist. Once we would settle in, I would go around and give everyone a little aromatic spritz. It was such a joy to witness people close their eyes and sink down into their body as they gently inhaled the scent drifting down around them. Scent is a powerful. It holds deep memories that can bring us back to moments in time. Scent and ritual go hand-in-hand. Whether that’s lighting a stick of incense, a favorite candle, taking an aromatherapy bath, remembering the smell of your grandmother’s night cream; it transports us. 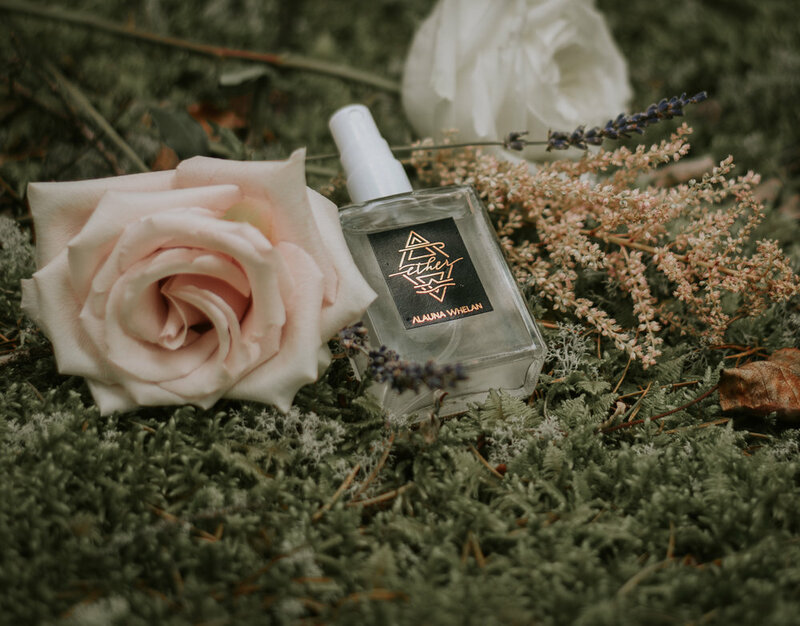 For this aromatic mist, I wanted to utilize a hydrosol for the base of this blend, and softly layer essential oils on top. Hydrosols or floral waters are very gentle and safe. They are a byproduct from the distillation of essential oils. They are much gentler than an essential oil. I keep a number hydrosols in our first aid kit and have used them as tools for both wounds and to calm frazzled nerves. The base of this aromatic blend is a sandalwood hydrosol. The essential oils in this blend include cypress, rosewood*, frankincense, and myrhh. The hydrosol has the warmth of a sandalwood essential oil does but it is lighter and sweeter. This aromatic mist is uplifting but the warm scent of the sandalwood grounds and comforts. The cypress is fresh and crisp. It’s a wonderful product to spray on hair. For a gentle pick-me-up, simply close your eyes and mist your face for. Aromatic mists can be used on linens, bedding, and towels. They are also wonderful supports for meditation or whenever we need a little extra support. 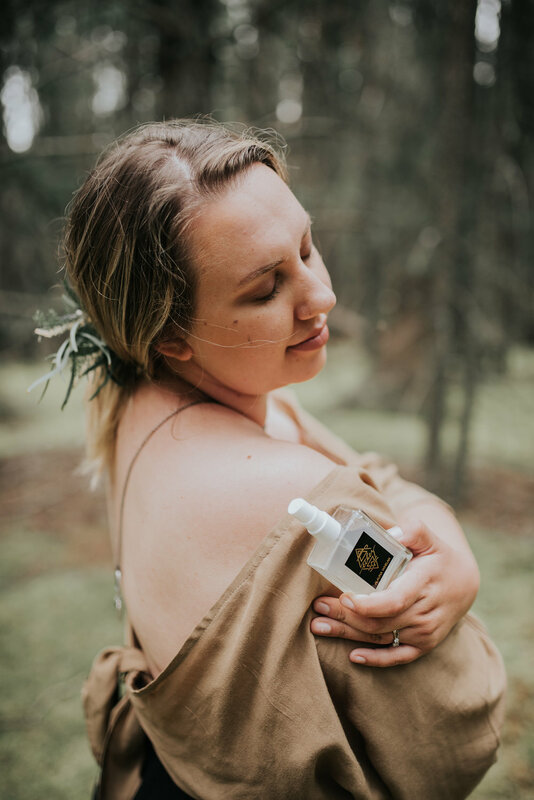 The Ether blend is so soft and soothing, with crisp evergreen notes from the cypress, hints of lemon from the frankincense, the resinous undertone of myrrh and of course the soft warm woods from the sandalwood hydrosol. The Ether aromatic mist will be available October 19th from 7-9pm at The Ether Launch Party & Reception in Saskatoon, SK. It will be available in the online boutique October 24.